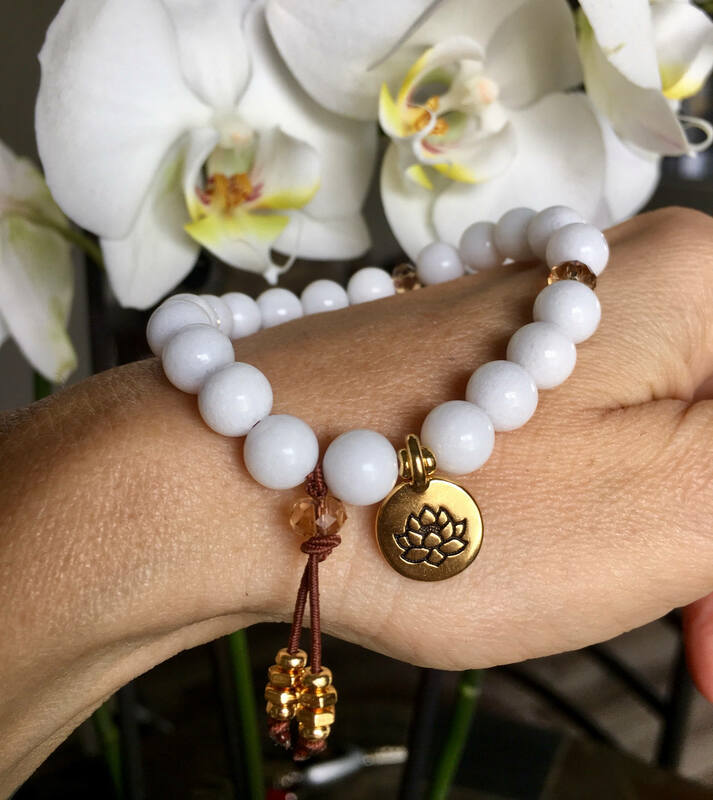 The White Lotus Mala Bracelet features gorgeous natural White Onyx gemstones along with topaz Swarovski crystals and a bright yellow gold tone Lotus charm to clear confusion, boost strength and increase confidence. 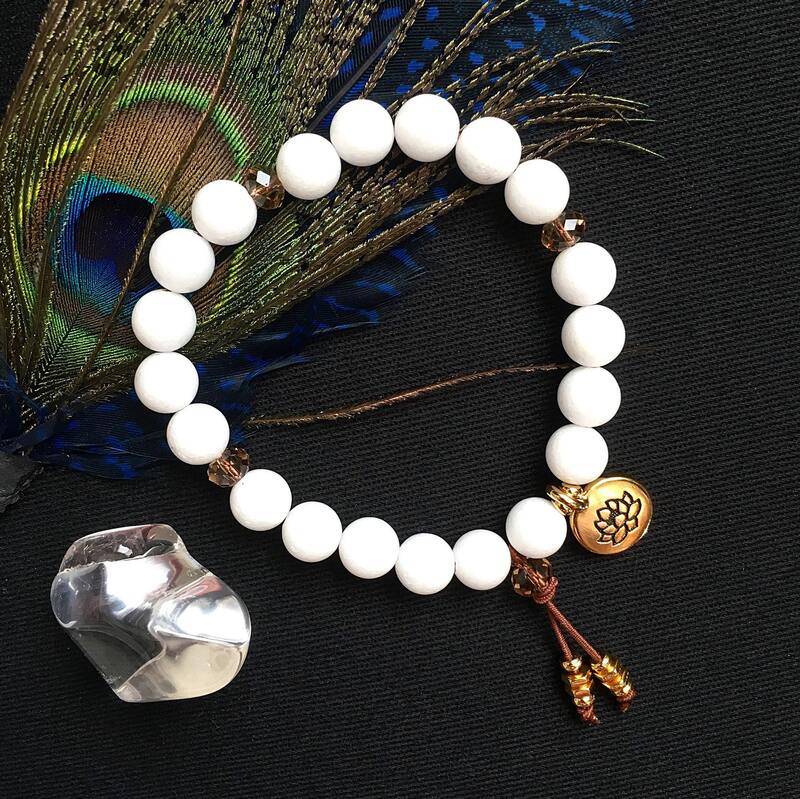 White Onyx opens the third eye and crown chakras to stimulate intuition and psychic senses. It heals old wounds and provides support during difficult and confusing circumstances. Onyx can offer incredible strength and endurance during times of enormous mental or physical stress. It also helps you retain information and can strengthen memory. Onyx in general (all colors) are extremely protective gemstones. 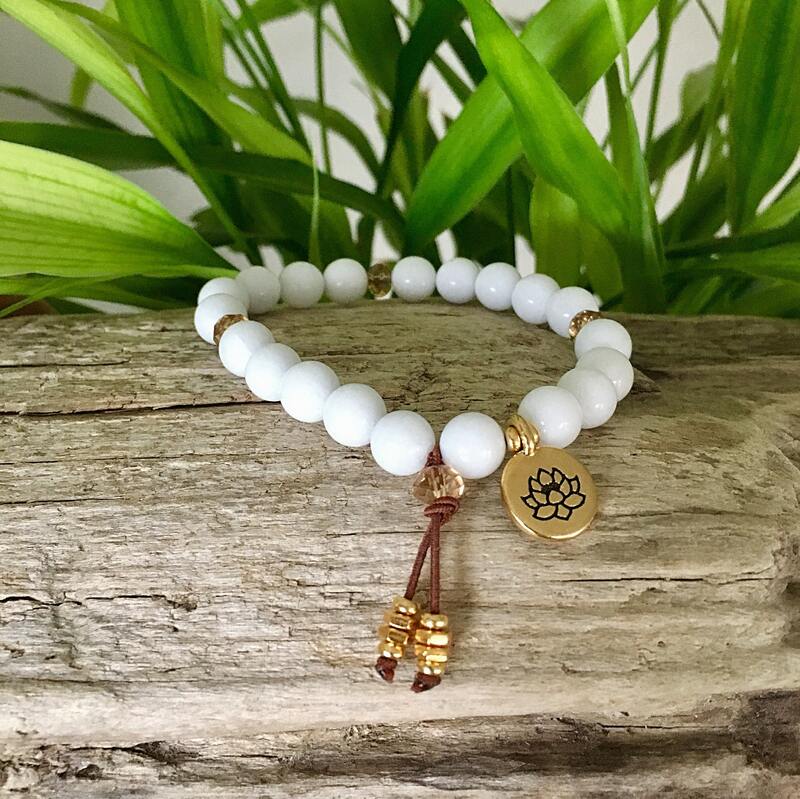 They prevent the draining of personal energy and absorb and transform negative energy into positive energy. Onyx encourages wise decision making, aligns the Self to a Higher Power, and stimulates inner strength, physical strength, self discipline, self mastery and intuition. Wearing Onyx can boost confidence and relieve fears and worries. *Last photo features the entire White Onyx collection (each sold separately). Stunning! Thank you so much! They are beautiful and so perfect for the holidays and I love stacking them because they go with so many of the pieces I own from your special shop!